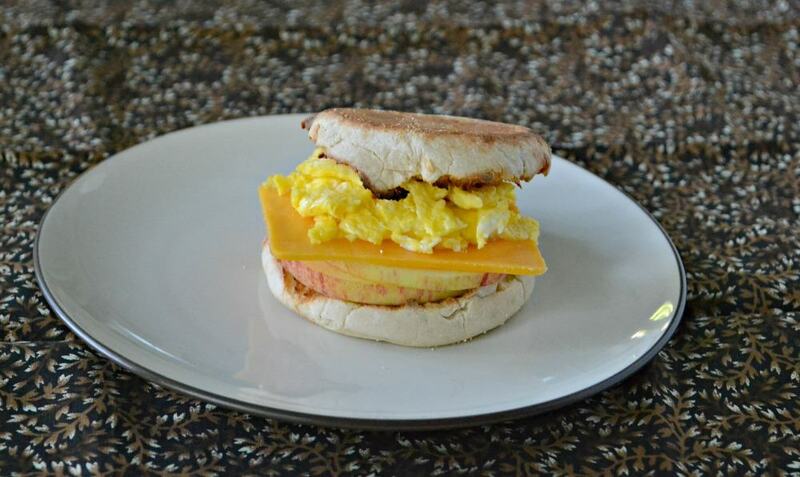 With the school year beginning, I’m always looking for a quick breakfast sandwich to make myself in the mornings. 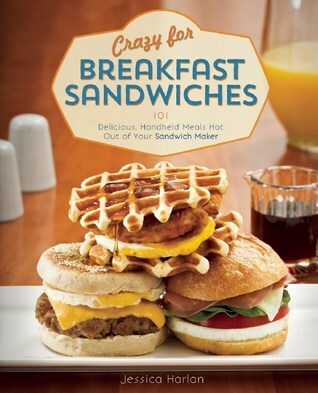 The book Crazy for Breakfast Sandwiches has 101 fabulous recipes for making your own sandwiches at home. 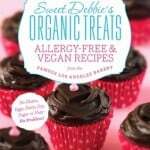 While all of the recipes are for use with a sandwich maker, they can also be made without one. The first chapter talks about breakfast sandwiches through the years, tools for making the perfect breakfast sandwich, and other sandwich making pointers. Then the book goes into different breakfast sandwich chapters. These include classic sandwiches, meatless mornings, dress-up brunch sandwiches, healthy starters, open faced meals, desserts, and make ahead components. There are sandwiches on bread, sandwiches on biscuits, and even sandwiches on hash browns. There are recipes for make aheads such as the biscuits, pancakes, and other delicious “bread” components of the sandwich. 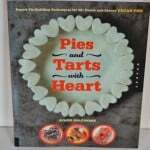 Some of the recipes are traditional while others are unique. A few of my favorites from the book are Green Eggs and Ham, Warm Strawberry Shortcake, English Muffin Pizza, and Turkey Egg White Sandwich. All of them sound delicious and I can’t wait to try them during the school year. 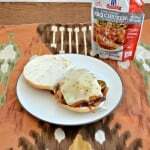 When looking for a breakfast sandwich I wanted something simple that I could make in 5 minutes or less on a weekday morning. I also didn’t want to have to worry about making sausage or bacon or another meat to go with it, so I chose from the Meatless options which is pretty typical for my breakfast. 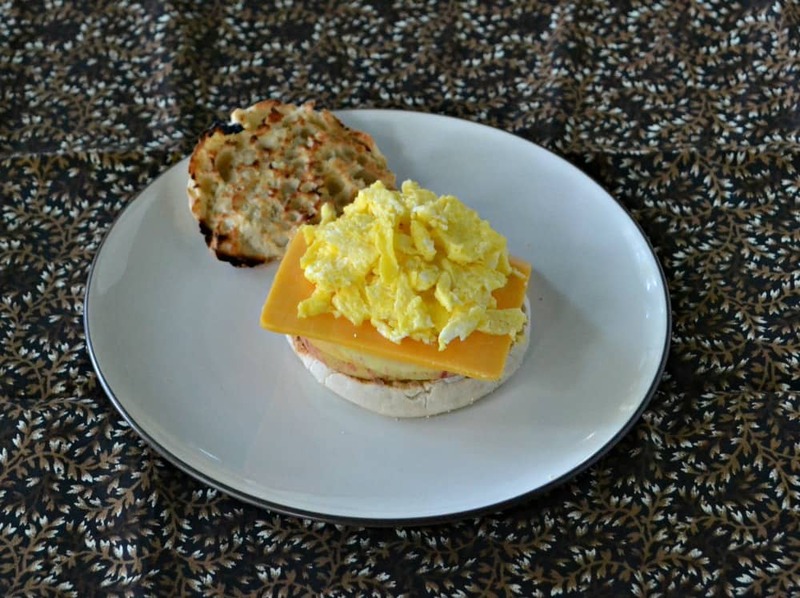 While I’d love to try the biscuit sandwiches one of these mornings, English muffins are my bread of choice when it comes to weekday mornings. So I started searching for a simple sandwich using English muffins and was vegetarian. I found it right away. The Apple Cheddar Breakfast Sandwich sounded perfect. It’s four ingredients and sounds great. 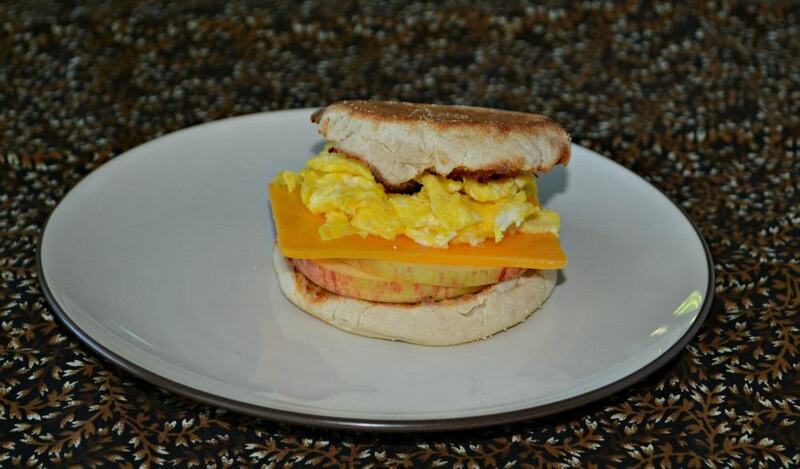 It’s an English muffin topped with apple slices, cheddar cheese, and a cooked egg. It was a little bit sweet and quite tasty. I really liked the crunch the apple added to the sandwich. Preheat the breakfast sandwich maker. Break the egg into a small bowl and piece the yolk with a fork. Using an apple corer, remove the core from the apple. Slice the apple into doughnut-shaped slices, about ¼ inch thick. You'll only need 2 slices for this sandwich; reserve the rest for another use. Place the bottom half of the English muffin in the bottom compartment of the heated sandwich maker, cut side up. Layer on 2 apple slices and the cheese. Lower the middle plate. 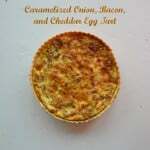 Pour the egg into the top compartment and set the top half of the muffin on the egg, cut side down. Close the sandwich maker. Cook for 4 minutes, or until the egg is cooked through. Slide open the middle plate to assemble the sandwich and remove it from the sandwich maker. Source: Crazy for Breakfast Sandwiches: 101 Delicious, Handheld Meals Hot out of your Sandwich Maker by Jessica Harlan, 2014. Note: If you don't have a sandwich maker, toast the English muffin and scramble the egg in a small saute pan.